Gum (periodontal) disease affects 4 out of 5 adults. Gum disease is caused by bacteria. These bacteria reside in the mouth. They accumulate on the teeth and gum tissue that surrounds each tooth. Your dental professional will sometimes refer to the tissue around the tooth as a gum “pocket”. When bacteria remain undisrupted in the “pocket” they begin to emit a harmful by-product. This by-product is acidic in nature and causes destruction to the supporting tissues that surround the teeth. These structures are bone and soft tissue. When they are destroyed it is not yet possible to restore them. As the saying goes, the best defense against gum disease is a good offense. Some symptoms of gum disease are swollen and bleeding gums, tenderness while brushing and/or flossing, visible inflammation and a shiny appearance to the gum tissue are just a few symptoms. However, most patients are unaware they have the condition. Your dental hygienist, under the direction of your Mesa dentist, will screen for gum disease at each of your hygiene visits. If she sees any change in your periodontal health she will inform you and advise your dentist of her findings. Together, a course of treatment will be recommended to stop the progression of this harmful condition. Dental x-rays allow the dentist to see the bone levels below the gum-line. He evaluates the x-rays for many signs, but primarily he looks at the contour of the bone and examines the root structures for build-up of calculus (tartar) below the gum-line. The periodontal examination includes measurements of the gum pocket depths (obtained with an instrument called a probe), gum recession, bleeding points, areas of exudate (pus), and general appearance of the tissues. These assessments are documented on a periodontal chart and are submitted to the dentist for evaluation. Healthy gum pocket depths are 1-3mm in depth. 4mm depths and above are problem areas. The bigger the number the deeper the pocket the more advanced the gum disease. Pockets over 3mm are considered unhealthy because toothbrush bristles and floss cannot clean beyond 3mm under the gum-line. Gum recession can be an indicator of gum disease. Gum tissue attaches to bone support around the teeth and when bone is dissolving around the teeth the gum tissue will follow. Gum recession can be caused by other factors, but is commonly a symptom of gum disease. Bleeding gum tissue is the cardinal sign of active gum disease. Smokers will not notice this symptom as readily as a non-smoker and at times the bleeding is not noted until the periodontal exam is performed. This is due to the lower portion of the pocket being unhealthy. Exudate is the term used in dentistry to describe “pus”. The more progressed gum diseases will have exudate associated with the pockets. Unhealthy gum tissue can appear shiny in texture. This is due to the swelling of the tissues. Also, redness, tenderness and blunted areas between the teeth are indicators of gum disease. Overall health is part of the periodontal assessment. The medical community has linked several systemic diseases to periodontal disease. There are a number of treatments for gum disease due to the various degrees of gum disease. The most common is a non-surgical “deep cleaning” called scaling and root planing. Our highly skilled and gentle dental hygienists will clean above and below the gum-line during a “deep cleaning” appointment. 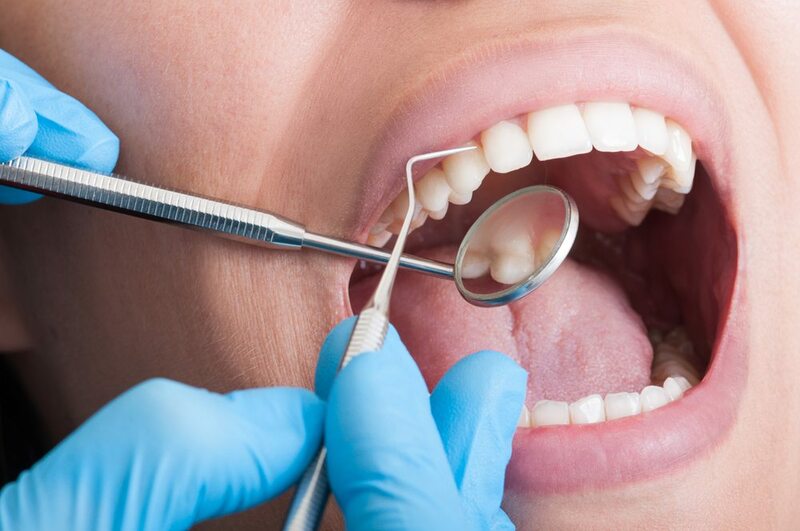 Throughout the course of your gum therapy the dental hygienist focuses on your comfort while removing the harmful bacteria and tartar from the teeth. At Alameda Dental Care we use the best anesthetics and the most advance instruments to care for you. Most recommended therapies will take several appointments. The success of the treatment is heavily reliant on the patients’ compliance to the home care regimen the hygienist recommends. Following the active therapy portion of your treatment plan, the hygienist will see you for a follow up appointment to assess the response of the tissues. Occasionally, a referral to a specialist may be appropriate. The follow up appointment is very important to establish a proper maintenance program for each patient’s individual condition. What happens after my deep cleaning? When the scaling and root planing and the 30 day evaluation are complete, your dentist and hygienist will recommend a maintenance schedule that is right for you. Based on how advanced the destruction is to the supporting structures and how well your mouth has responded to the treatment, a maintenance plan will be developed. Extensive home care instructions and a continuation of your compliance at home is just one part of the maintenance regimen. Typically, the first year after a deep cleaning, you will need to return to the office every three months for a maintenance cleaning. Maintenance cleanings are not to be confused with scaling and root planing. The reason why your hygienist will see you every three months is due to the re-infection rates for gum disease. At the 90 day mark is usually when we see the beginning stages of re-infection of the gum pockets. When your hygienist can disrupt and clean the pockets every 90 days, you are able to maintain the bone support you have left. If you have issues prior to your three month visit, you should make an appointment to see your provider sooner than later. Why can’t I have a regular cleaning? The answer to this is simple. A “regular” cleaning is no longer appropriate treatment for you. Once you have lost bone around your teeth, it does not grow back. Therefore, we are no longer preventing disease; we are maintaining a compromised condition. There are times, when a patient’s condition has been stable for at least two years. When we see this situation, we recommend the patient return every four to six months for maintenance visits. The best action to take is to follow your dentist and dental hygienists home care and professional care advice and take care of yourself as best you can. We take the screening for and treatment of gum disease very seriously at Alameda Dental Care. Our philosophy is the supporting structures are the solid foundation on which we build a healthy and beautiful smile to last a life time. It is important to note there are varying degrees of gum disease and only your dentist can properly diagnose your condition. We encourage you to review the educational videos found on our website for more information.